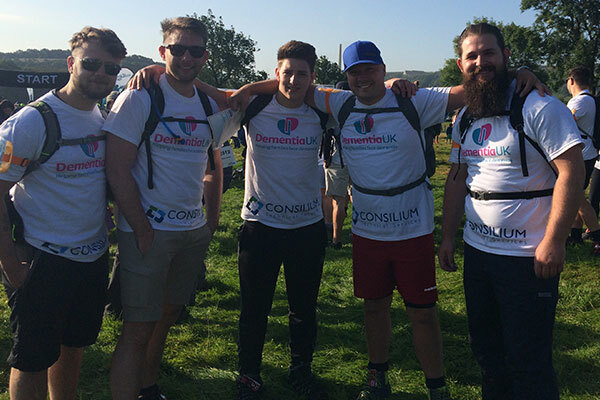 Consilium Technical Services have walked for Dementia UK, trekking 25km through the Peak District for this fantastic cause! 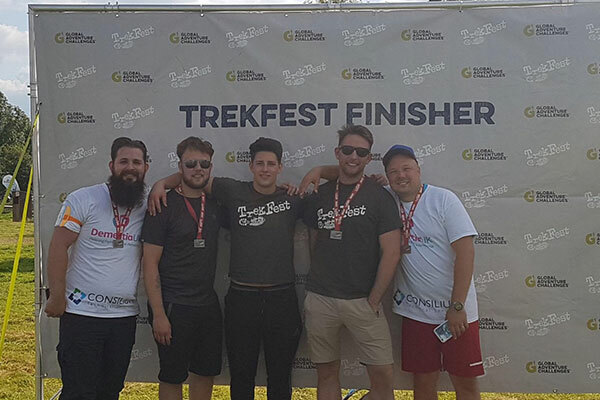 On the 2nd of September, Daryl, Andrew, Jordan, Ashley and Dan of Consilium took on the Trekfest peaks challenge. With a number of the Consilium team being affected by Dementia within their own families- it was the perfect cause to put themselves to the test for. Raising a total of £1,235 through their just giving page, the guys did themselves, their families and the charity proud as they stormed to a successful challenge, completing the trek in 5 hours and 39 Minutes! “This charity really means a lot to all of us at Consilium, and Trekfest was something we were delighted to be taking on for such a good cause. It was tough in parts but the boys all pulled together and helped each other through. It was nice to see the team that works so well together in the office show that they can do the same in another, very different environment. Dementia UK aims to improve the quality of life for all people affected by dementia. With the number of new cases of dementia growing to 163,000 each year – one every 3.2 minutes – Consilium need your support now more than ever. By donating, you will be making a huge difference to those affected by dementia up and down the UK, helping provide support and advice through Dementia UK’s Admiral Nurses.